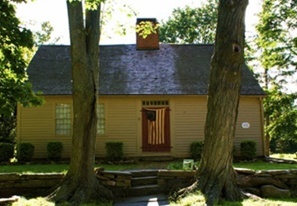 Own a Historic Home? Lucky You. If you are lucky enough to be the owner of an older home, whether it is treasure from colonial times, or a pre-World World II home that you treasure, there is likely remodeling and renovation in your future. Preserving and enhancing an old home with a quality renovation can be both challenging and rewarding. Working with a qualified design professional can help make the process less stressful and ensure a successful renovation. 1. The First Challenge: Deciding What to Save. Your home probably has many features worth keeping. They may include hardwood flooring, ornate windows, doors and woodwork as well as custom cabinetry. Among the things not worth saving, however, are out-of-date plumbing, electrical wiring and rotted framing. On the exterior, if your home has been the victim of ugly additions over the years, you may want to make modifications to bring it back in line architecturally. Oftentimes, bad additions can be removed or reworked, and/or rooflines modified, to better coordinate with the original structure. 2. Develop a Vision, Make a Plan. The present layout of the house may not make the best use of available space, and you may need to remove some walls and erect others. A successful remodel starts with a plan and brings a house up to date while preserving what's best about it. Your designer will take a fresh look at your space as a whole, consider features you want to integrate into your design scheme, (such as an ornately carved staircase) and offer input on an arrangement that brings the house up to contemporary standards and improves the flow. Whether you add on or “stay within”, it's important to address those little flaws in your home that you may have dealt with for years: from waiting your turn to brush your teeth at a single bathroom sink, to bumping into each other in the kitchen when you are cleaning off the table, and stepping around a door that opens the wrong way. It’s this attention to details like this in home remodeling design that will make a difference in the quality of your life, once the construction dust settles and the workmen are gone. While determining the size of your budget for desirable enhancements, keep in mind that you may need to allocate some monies to address structural issues. 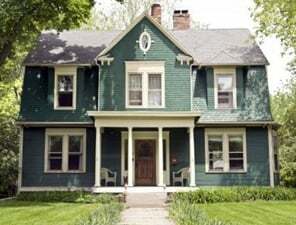 Antique homes are likely to have settled since their original date of construction, as evidenced by cracked walls, doors that don't work properly and sloping floors. If the foundation is intact, these characteristics of your home may be something that you find charming, are willing to live with, and can embrace in your design. But if the foundation is crumbling and leaks, you may want to take the opportunity to have the foundation replaced. This can be done in sections, and isn't as scary as it sounds! We do it all the time. 4. Plumbing and Electrical Upgrades. When renovating an old house it may make sense to consider overhaul some of the existing plumbing. If you have old cast iron or galvanized steel pipes that haven't corroded and developed blockages that restrict water flow, they probably soon will, and it may be a good idea to include replacing them during your renovation. Electrical standards have changed greatly over the years, and the systems in older houses rarely conform to today's codes. Renovation often offers the opportunity for increasing the electrical service to your home to meet the needs of contemporary living. Sometimes, the whole house must be rewired to replace out-of date/faulty wiring and electrical fixtures, provide enough outlets, offer proper grounding, and eliminate hazards. Your house will be safer and all things electrical will work better. You won't miss replacing blown fuses! 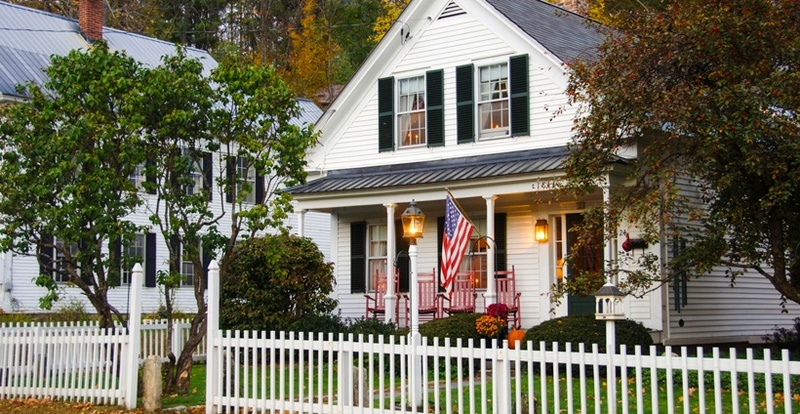 Renovation is a good time to address common old-house problems. Old houses almost always have insufficient or outdated heating, air conditioning and ventilation (HVAC) systems, and a good renovation plan will address these home comfort issues. Re-insulating with high-efficiency materials can fix hot and cold spots, minimize drafts, and lower energy costs. New windows and storms can enhance energy efficiency. Sometimes we just replace sashes, giving that energy efficiency boost, yet allowing original moldings with a zillion coats of paint to remain intact. Some contain some asbestos, which was used for building materials for around 100 years before its cancer causing fibers were banned in the 1980s. Abatement is done by trained professionals. The other hazardous material common in vintage homes is lead, both lead paint and lead pipes. Your contractor will test for lead, and use "Lead-Safe" remodeling practices in areas where it is present. 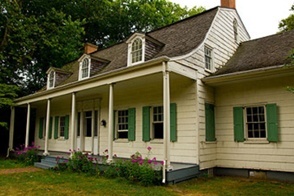 While it sometimes takes real guts to strip a house down to the studs, then build it back up again, it is truly fun and rewarding to bring new life to a historic home. Be patient. Pace yourself. Look forward to where you and your home are heading. 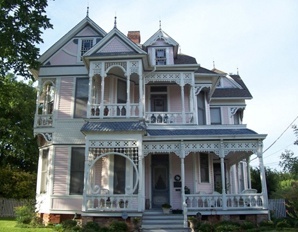 Enjoy the journey towards the beautiful historic home you will have once the home improvements are complete.